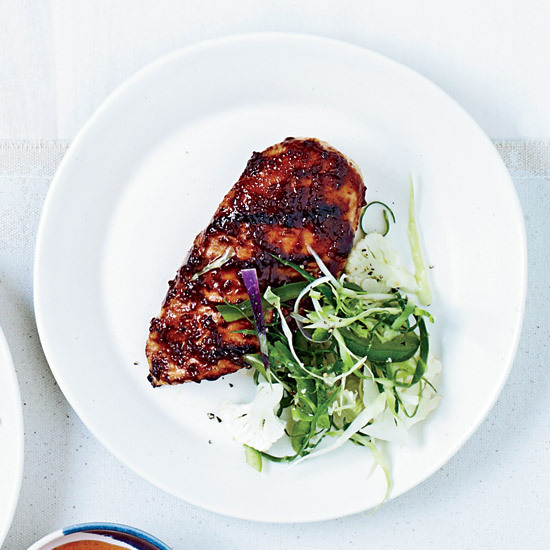 From grilled chicken with a sweet mustard sauce to sweet-and-tangy wings, these bbq chicken recipes will please everyone at your cookout. 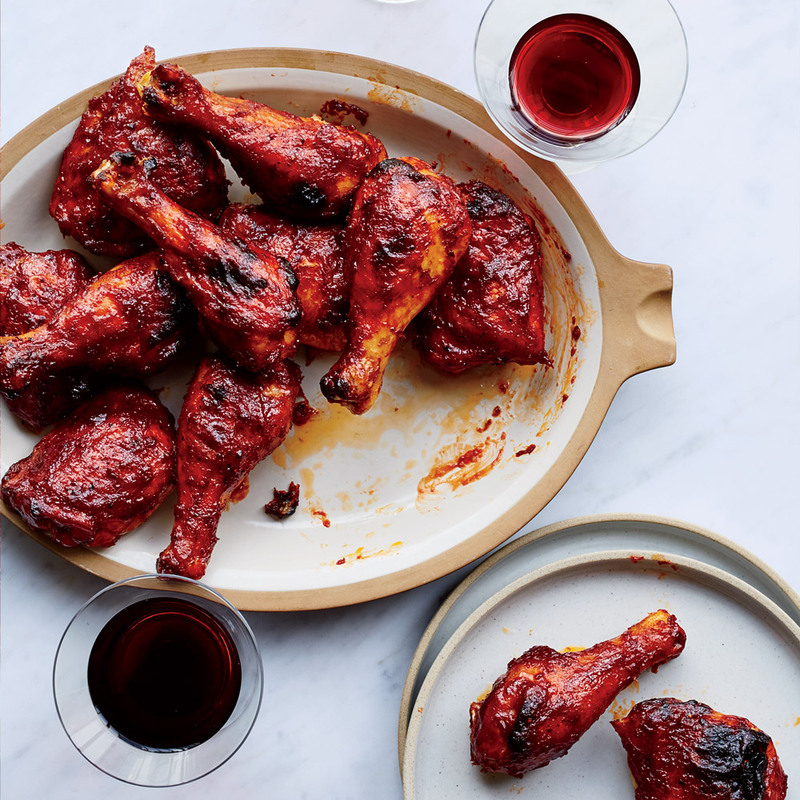 Leftover red wine gets repurposed into a sweet, sticky and luscious barbecue sauce in this great recipe from Food & Wine’s Justin Chapple. 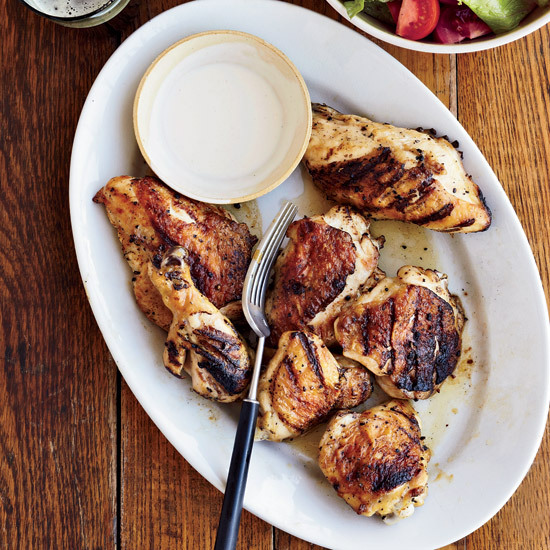 Grill pieces of chicken until crispy and nicely charred, then serve them alongside this terrific white sauce. Crushed red pepper and ancho chile powder bring the heat in this crowd-pleasing chicken recipe. Instead of the usual smoky-sweet tomato-based barbecue sauce, this Asian-style version uses oyster sauce, soy sauce and roasted garlic, with toasted black peppercorns added for heat. 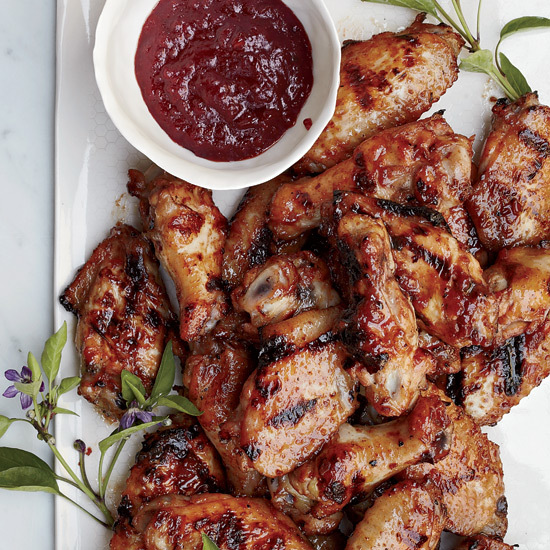 These super-flavorful crusty wings are fantastic with this sweet-and-sticky barbecue sauce. A sweet mustard glaze gives this grilled chicken a crisp coating. The chickens need to marinate overnight so plan accordingly. Sweeten up your BBQ marinade with fresh mango—guaranteed to please guests at any cookout. The coffee in this barbecue sauce adds smokiness and depth. It's also wonderful with pork and lamb, as well as with chicken. This sweet and tangy chicken recipe blends tamarind and other Indian flavors into a molasses barbecue sauce. This amber-colored chicken is incredibly delicious thanks to an overnight marinade, a spice-and-sugar rub, a sweet-sour mop and four hours on the grill. 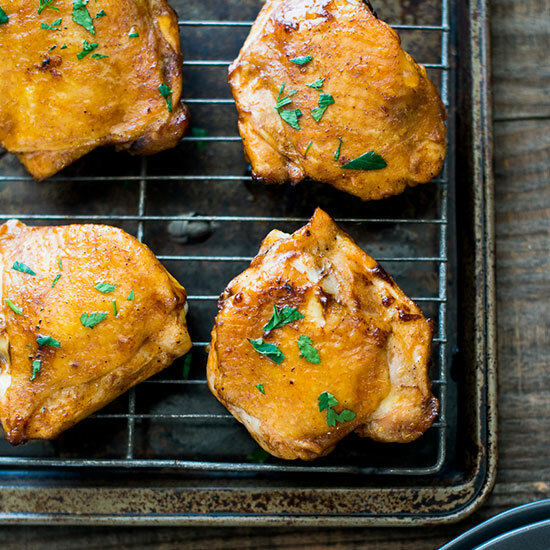 This simple recipe pairs baked chicken with a sweet and tangy sauce.